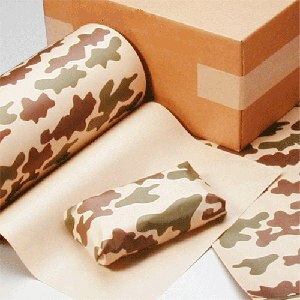 CAMO design poly coated freezer paper. 600 ft roll. Camo print for instant identification. Poly coating on one side locks out air and moisture. Prevents freezer burn. Heat sealable. FDA approved for direct contact with food. 3" Core diameter. 18 inches wide.